← What do Renaissance artists and animators have in common? Personal drones are getting smaller and cheaper. What that leads to. 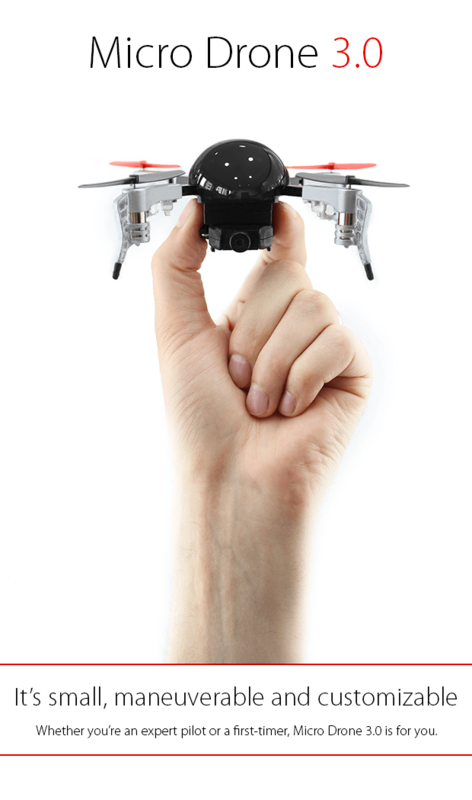 As you can see, this new drone (Micro Drone 3.0: Flight in the Palm of Your Hand, Indiegogo) is really small. Also relatively cheap. Like other IT, I expect personal drones will only get smaller and cheaper. The only limit will likely be how big they have to be in order not to get blown away. I have heard people come up with innovative ways of using personal drones. For example, some home inspectors are using them to check out hard to reach parts of people’s house in order to see if they are in good shape or not. That’s great. But there are going to be lots of other ways that people use them which may not be so desirable. The most obvious one is invading people’s privacy. It is one thing to inspect a house when no one is in it: it’s another to do so when someone lives there. Instead of prank phone calls, we’ll have prank drone visits. How people protect their rights in such cases will be difficult. Drones will raise a number of legal questions. For example, what is your recourse if someone has a drone follow you around? Or if someone has a drone hovering in a public place outside your home? Can you fly a drone above an outdoor concert so you can record it? Can you attack drones that fly into your personal airspace? Will there be security drones that keep other drones off people’s property? If you post a video of a drone visit to a property on YouTube and someone uses that video to help them rob that property, are you an accomplice? There has been some good work on drones being done by government agencies like Transport Canada, but I think the technology is going to challenge governments and courts to keep up. Expect to see more and more debate on drones in the coming months and years. As far as this particular drone, Mashable has more on it here. This entry was posted in ideas, IT and tagged drones, IT, law, legal, Mashable, privacy, robots, technology. Bookmark the permalink.